The hour hand has lost its luminous compound. 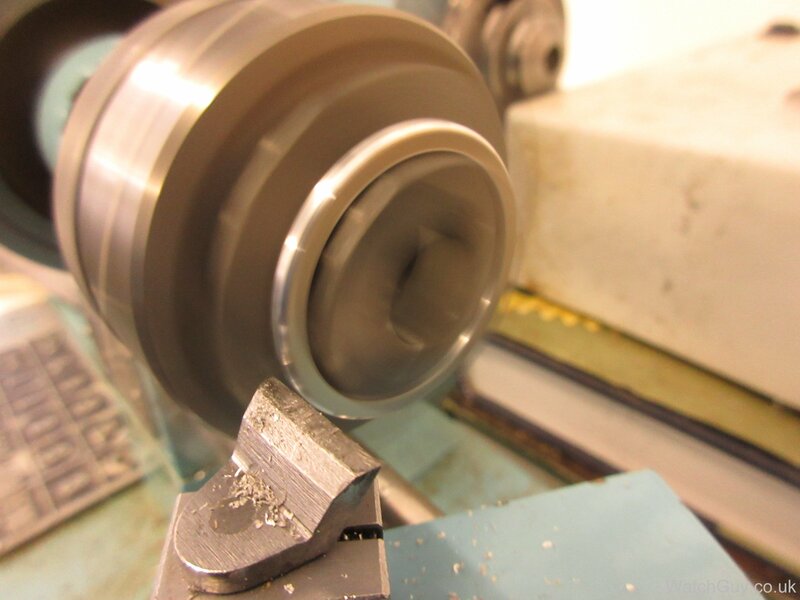 As I can’t buy a new bezel, it’s off to my trusted lathe. Voila – new luminous compound, and a hand-made bezel ring, and we are back in business. 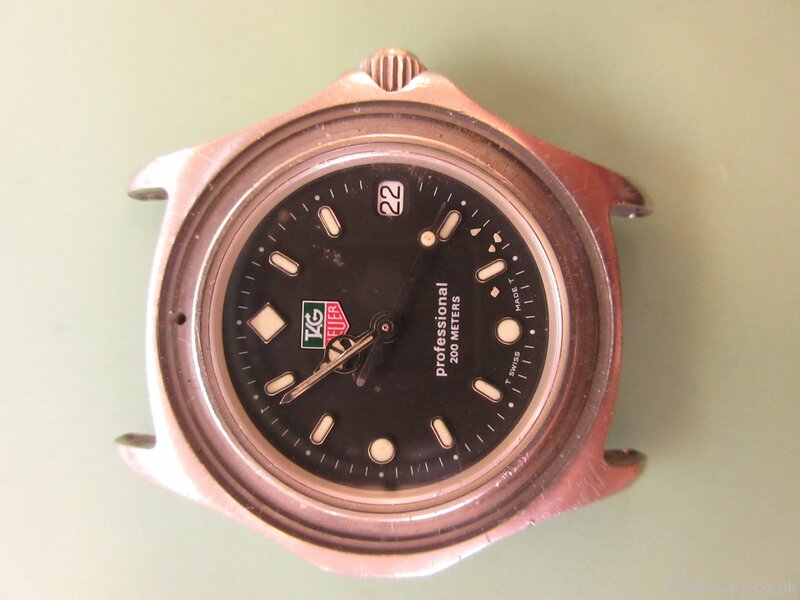 This is no Tag Heuer F1, but a Tag Heuer 2000. There is no plastic bezel for these, but a solid full metal one. There’s always some listed at Ebay for little money. Both used and NOS. Typical price of USD 50. That would be a even better solution than making a plain bezel. That bezel solution is so good. It looks great! 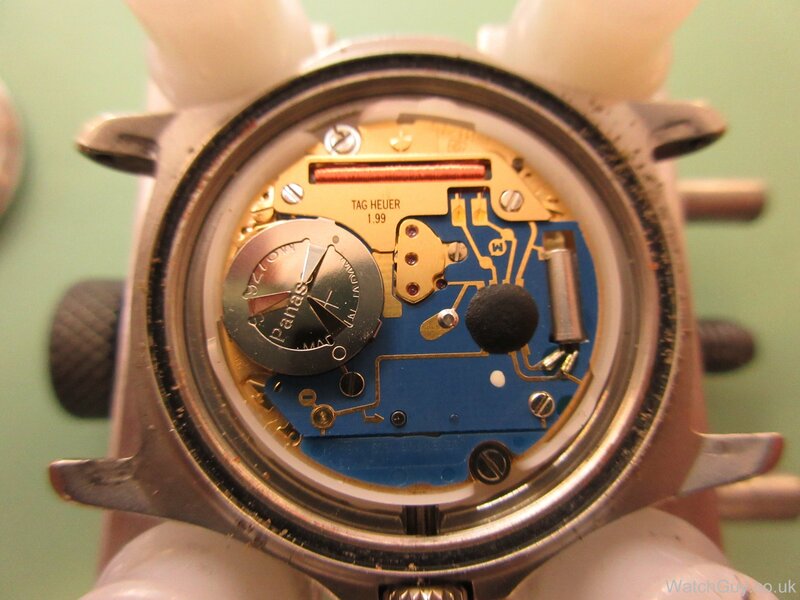 That new bezel looks much better than the nasty plastic ones that TAG fitted, I never understood the F1 design with all the plastic/rubber bits, they are bound to wear and fall off and make the watch look like a very very cheap thing…..
No, it’s just there to fill the space. It doesn’t turn. Even Tag in Switzerland do not have much of these rotating old F1 bezels anymore. A small few here and there, but that’s all. Yes, looks like it also has the Mercedes battery protector. 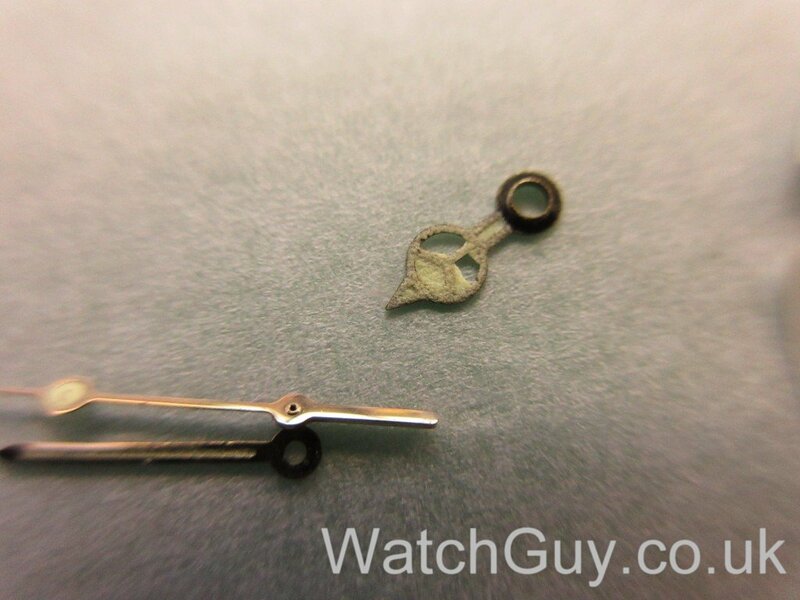 that’s why I don’t buy quartz watches! :)) add another 10£ for modified eta.black paint to mark the movement is expensive. Haha, yes at least they can claim that their name on the movement adds to the cost of the “base” ETA 😉 . 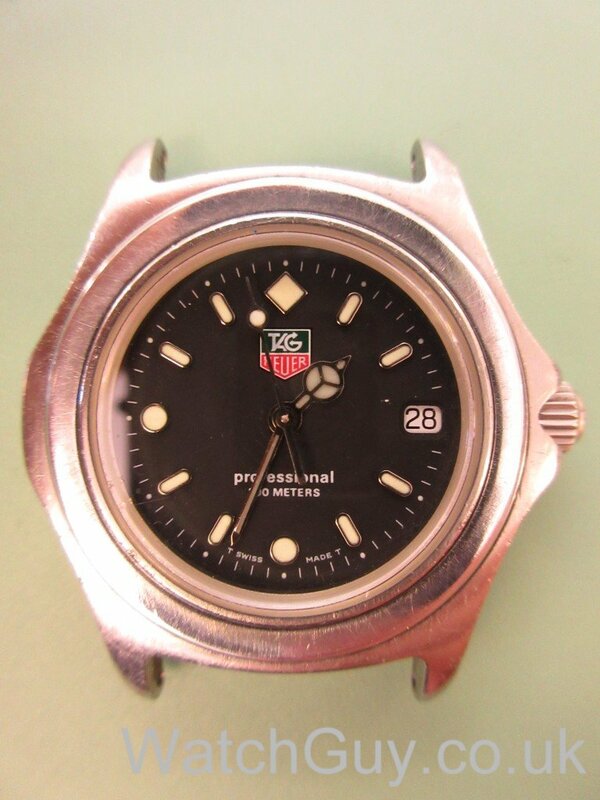 Still I have a soft spot for these quartz Tag Heuer watches for some unknown reason. Probably has to do with the simple uncluttered highly legible dial and robust cases. If they were 10x cheaper I’d add a few to my collection. I quite like them too. It’s hard not to like a watch you can wear swimming and in the sauna, only adjust the time twice a year and put in a new battery every 4 years. And they look pretty good! Would you be interested in making another bezel? My daughter has a similar TAG watch with a green plastic bezel and she was asking me where she might get something like this in stainless to replace it. 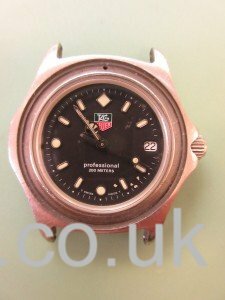 Hi Chris, do you have a list of watch manufacturers which sell spares to independents? Actually, I am considering a Junghans Meister Chronoscope, so I really hope that Junghans will be on that list.